Can I use the Rating Form plugin with SNIP? Last updated: March 21, 2019 | The WP-Buddy » FAQ » Pre Sales Questions » Can I use the Rating Form plugin with SNIP? Mohamed asked if it’s possible to use Rating Form plugin together with SNIP. The answer to the above question is YES (at least for normal post as pages). And here is how it works. 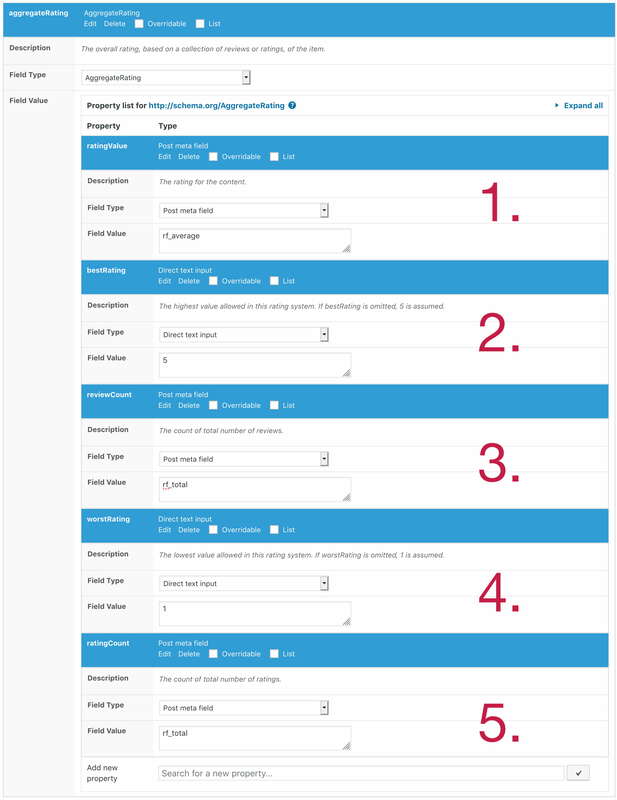 The Rating Form Plugin saves the average rating as well as the number of all ratings into WordPress post meta table. So you can use this data with the “Post meta” field type. For the ratingValue use the “Post meta” field type. Enter rf_average into the “Field Value” textbox. For the bestRating property, use “Direct text input”. Enter the number of the best rating you’re using (depending on the way you set up the Rating Form plugin). For the reviewCount use the “Post meta” field. Enter rf_total. For the worstRating property, use “Direct text input” and enter the number of the worst rating that is possible (depending on how you set up the Rating Form plugin). For the ratingCount, use the “Post meta” field, too. Here you can also enter rf_total. Important: Note that either reviewCount or ratingCount is needed (depending on where you’ve added the aggregateRating property. How can I create a rating to a schema thing?